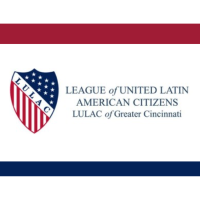 Cincinnati, OH - The League of United Latin American Citizens Midwest region will join with others in rallies on June 30 to oppose President Donald Trump's "zero tolerance" immigration policy that has ripped apart thousands of families. Cincinnati rallies will take place on Saturday, June 30 at 11:00 AM at Washington Park. There will also be rallies in Columbus, Dayton, Chicago, Des Moines, Indianapolis and Milwaukee. For more information about specific rallies, contact the individuals listed below. LULAC members will rally with others that include ACLU, MoveOn.Org and others to mobilize against Trump's policy and recent executive order, which does not address what happens to the families who have already been separated and allows for more rights to be taken away and the possibility of indefinite family detention. "Immigrants and their families belong in our communities, not in cages," said Lourdes Ribera, Deputy State Director, LULAC Ohio. "No executive order can undo the damage that he has already caused families. Children should not have been separated from their parents in the first place, and they still don't belong in jail." Trump on Wednesday said he would back off from his policy that went into effect in April and has resulted in more than 2,3000 children being taken from their families and held in government shelters across the country. Trump's executive order keeps the "zero tolerance" prosecution policy in place that initially resulted in families who were arrested while crossing at the border to be separated. The administration said it would aim to keep families together during the process in the future.